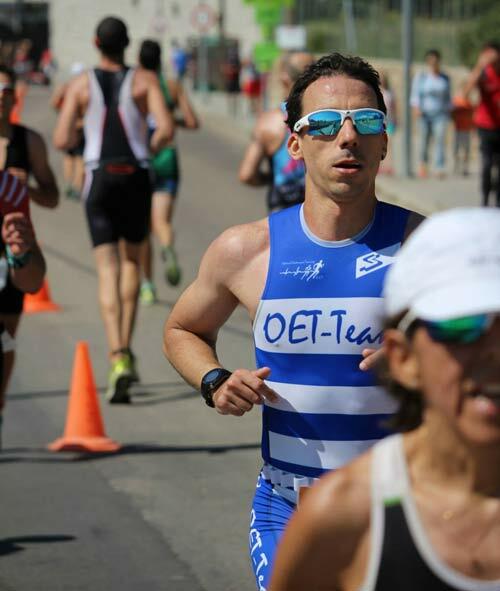 OET Method, created by Carlos Martín Caro, improve your performance focusing in technique without forgetting fitness. The aim is to expand your movement’s mechanics and teach you to swim or to run more economically. We use our own methodology based on movement biomechanics, joint and muscle mechanics, and the Pilates method. Overfrequency: Stride frequency training, basic to run fast. Technical Running: Anaerobic Sets for improving your stride length and technique. Functional Running: Strength integrated into the technique and endurance to optimize your trainning time. Overstroke: Length stroke trainning to increase swimming speed with less effort. Technical Swim: Intense Aerobic Sets to integrate technique in continuous swimming. Who is OET Method for? To any person who wants to learn or improve their swimming cycling and running technique. For every athlete who wants to improve their performance exponentially in swimming, running and cycling. For those athletes who do not understand that the others run, swim and ride by bike faster than them, we’ll explain you and teach you. Athletes who have bad technique. You will Improve your performance substantially. You will get tired less in training and you will can train more volume. You will have less injuries. You will improve your economy in competition. You will train in a systematic and planned way. Your technique will improve and you will have a more elegant style. You will must put the mind at every workout, to think about how to put the trunk, arms and legs. You will need to spend extra work with functional strength and mobility exercises.